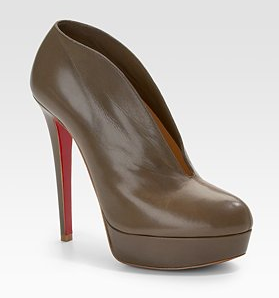 I’m a big Louboutin fan… I think he makes amazing shoes and I’m still not over the red sole. In fact, every time I think I’m sick of the red, I’ll stumble across another pair of fabulous heels or boots. Right? How cute are theses? 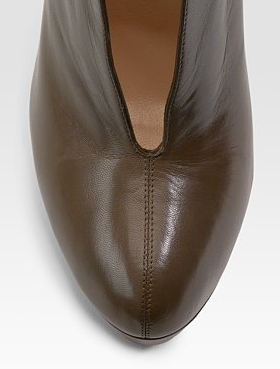 In fact, I think they are the perfect bootie. Some booties are a little too crazy for me. My style is more tailored/classic and some of the booties on the market seem too ornate for me. But these. THESE ARE FANTASTIC! Simple cut. Platform for comfort. Elegant split front. And great height. And the taupe color! Love these! oh, only $995! damn i want those! This are BEAUTIFUL and definitely look like you T. I LOVE the front split. Perfection.